The U.S. Department of Health and Human Services (HHS) enforces the Federal privacy regulations commonly known as the HIPAA Privacy Rule (HIPAA). HIPAA requires most doctors, nurses, pharmacies, hospitals, nursing homes, and other health care providers to protect the privacy of your health information. Here, from HHS, is a list of common questions about HIPAA and when health care providers may discuss or share your health information with your family members, friends, or others involved in your care or payment for care. Here are some examples: • An emergency room doctor may discuss your treatment in front of your friend when you ask that your friend come into the treatment room. • Your hospital may discuss your bill with your daughter who is with you at the hospital and has questions about the charges. • Your doctor may talk to your sister who is driving you home from the hospital about your keeping your foot raised during the ride home. • Your doctor may discuss the drugs you need to take with your health aide who has come with you to your appointment. • Your nurse may tell you that she is going to tell your brother how you are doing, and then she may discuss your health status with your brother if you did not say that she should not. BUT: • Your nurse may not discuss your condition with your brother if you tell her not to. Here are some examples: • A surgeon who did emergency surgery on you may tell your spouse about your condition, either in person or by phone, while you are unconscious. • A pharmacist may give your prescription to a friend you send to pick it up. • A doctor may discuss your drugs with your caregiver who calls your doctor with a question about the right dosage. But: • A nurse may not tell your friend about a past medical problem that is unrelated to your current condition. Do I have to give my health care provider written permission to share or discuss my health information with my family members, friends, or others involved in my care or payment for my care? HIPAA does not require that you give your health care provider written permission. However, your provider may prefer or require that you give written permission. You may want to ask about your provider’s requirements. HIPAA does not require proof of identity in these cases. However, your health care provider may have his or her own rules for verifying who is on the phone. You may want to ask about your provider’s rules. Can I have another person pick up my prescription drugs, medical supplies, or X-rays? Yes. HIPAA allows health care providers (such as pharmacists) to give prescription drugs, medical supplies, X-rays, and other health care items to a family member, friend, or other person you send to pick them up. 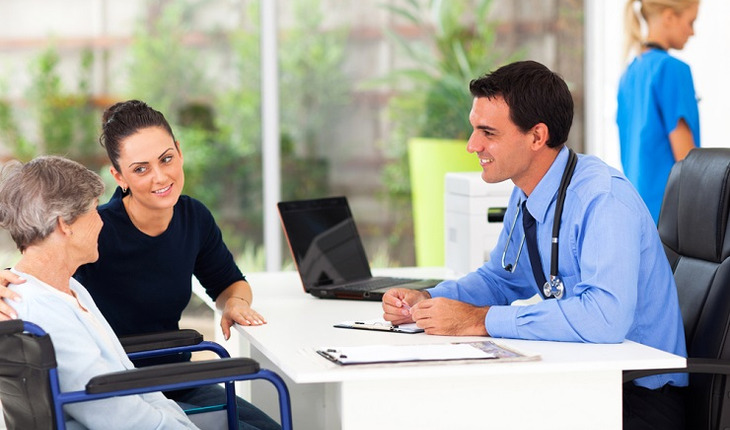 Can my health care provider discuss my health information with an interpreter? Yes. HIPAA allows your health care provider to share your health information with an interpreter who works for the provider to help communicate with you or your family, friends, or others involved in your care. If the interpreter is someone who does not work for your health care provider, HIPAA also allows your provider to discuss your health information with the interpreter so long as you do not object. How can I help make sure my health care providers share my health information with my family, friends, or others involved in my care or payment for my care when I want them to? Print a copy of this document and discuss it with your health care provider at your next appointment. You may also want to share this information with your family members, friends, or others involved in your care or payment for your care. Where can I get more information about HIPAA? The HHS Office for Civil Rights Web site at http://www.hhs.gov/ocr/hipaa/ has a variety of resources to help you understand HIPAA.